OnePlus has started the rollout of OxygenOS Open Beta 4 update for the OnePlus 5T, and it has brought a huge upgrade to the OnePlus flagship in the form of Android 8.1 Oreo. The update is also available for the OnePlus 5 as confirmed by the device in our office. Aside from the OS upgrade, the beat brings a host of new features and improvements such as call pick up gesture, optimizations in the gaming mode and support for migrating application data. Now let’s discuss the OxygenOS Open Beta 4’s changelog. The major change is obviously the much-awaited OS upgrade to Android 8.1 Oreo, alongside the Android security patch for February. As far as new features are considered, the OTA update has added support for a new auto pick up gesture for incoming calls, that will allow users to answer a call by just raising the phone. Another notable change brought by the update is improvements in the full-screen navigation gestures, which are similar to Apple’s implementation on the iPhone X and were first introduced by a beta update back in January. 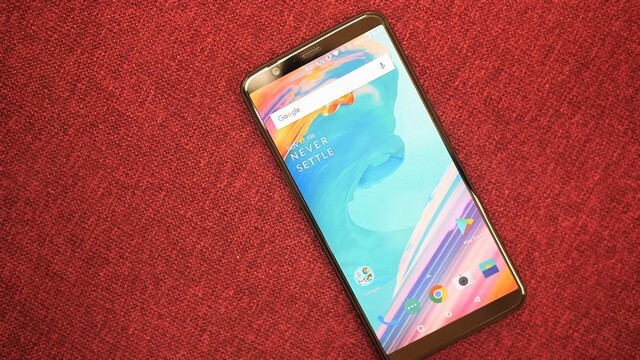 And if the comments of beta testers on the official OnePlus forum are anything to go by, the OxygenOS Open Beta 4 has improved the speed and efficiency of the full-screen gestures. The new update has also made some optimizations in the OnePlus 5T’s gaming mode. “Added new optimizations in gaming mode for immersive gaming experience including power saving and pausing adaptive brightness”, reads the changelog. Aside from general bug fixes and improvements, there are a couple of other noteworthy changes too. The latest OTA update has introduced OnePlus Switch, a new feature that will allow users to migrate application data when they switch smartphones. And finally, new clock styles have also been added to grace the OnePlus 5T’s ambient display. The update weighs in at around 1.5 GB , and if you want to try it on your OnePlus 5T, you can visit the official OnePlus forum page.